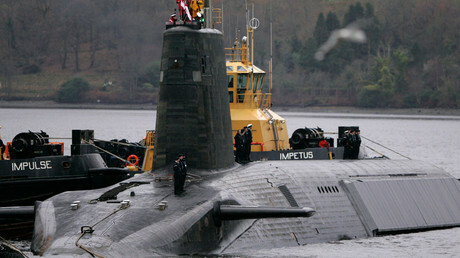 — Another cover-up: new UK study finds 110 MoD nuke accidents — 4X higher than reported by govt. The UK Ministry of Defense has been accused of downplaying the real dangers stemming from the UK nuclear deterrent after the report by a safety watchdog put the number of accidents, involving British nukes, at 110, four times higher the official count. Unveiled on Wednesday by the Nuclear Information Service (NIS), an independent nuclear watchdog, the report sheds light onto dozens of mishaps involving British nuclear weapons, featuring previously unreported accidents with potentially disastrous consequences. The in-depth study, which traces back all 65 years of the British nuclear program, arranges accidents into seven sections in accordance with their place of origin. The report is based on the official findings, including the report on nuclear weapons safety written by Professor Sir Ronald Oxburgh, information revealed during parliamentary questions, obtained under the Freedom of Information Act as well as from whistleblowers, witnesses and other researchers. The biggest group of all lists accidents that took place on nuclear-capable submarines, ships and aircraft. 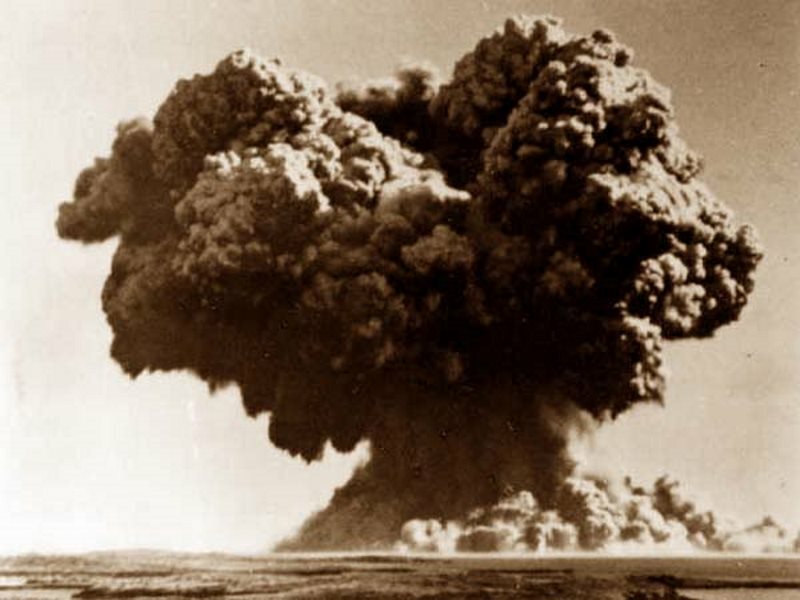 The causes for a total of 45 mishaps, including 24 that occurred with nuclear-armed submarines, range from collision and fires to the effects of lightning. 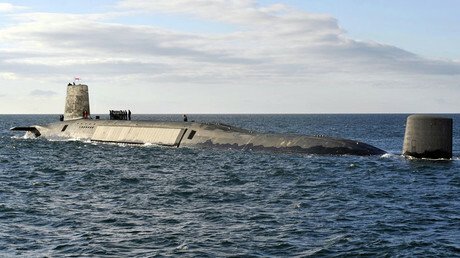 In one of the most notable accidents of that kind, Royal Navy submarine HMS Vanguard, which is capable of carrying up to 48 Trident nuclear warheads, collided with a French Le Triomphant submarine, which could be armed with about the same amount of TN75 nuclear warheads. The circumstances of the accident, which happened early February 2009 in the Atlantic Ocean, were hushed up at the time and still not known to the full. Although the official investigation report into the collision came to the reassuring conclusion that “at no time was nuclear safety compromised and the Strategic Weapon System remained inside tolerable limits at all times”, whistleblowers’ accounts are far more daunting. An officer who was on board the UK submarine reportedly said “We thought, this it we’re all going to die,” while recalling the incident in the conversation with Royal Navy whistleblower William McNeilly. Other case studies include a nuclear warhead carrier sliding off the rode into the ditch on January 10, 1987 in Wiltshire. The misfortune is described by the authors as “most visible” and “embarrassing” incident to date. Overall, 22 road transportation incidents, among them overturning of vehicles carrying nukes, have been cited in the report. The report also lists 21 “security-related” incidents and eight incidents blamed onto the improper storage and handling of the nukes. The comprehensive study, spanning over 100 pages under an awe-inspiring title “Playing with Fire,” blames the defense ministry for attempting to sweep the issue of nuclear safety under the carpet by concealing essential details of the incidents and downplaying their impact. It is not the first time the British military has been accused of covering up major issues with its nuclear deterrent. News on a failed Trident missile test, carried out off Florida coast in June 2016, sparked a new round of heated debates on the British nuclear program. The routine test performed by the HMS Vengeance in June 2016 from Port Canaveral went horribly wrong with the missile heading back to the US mainland. However, the UK authorities did not issue any statement on the failed test, reportedly, advised to refrain from sharing unfavorable data by US colleagues. The Trident missile malfunction came just weeks before the UK parliament voted in favor of renewing controversial Britain’s Trident deterrent, estimated to cost some £40 billion. Secret UK Cabinet files released by the National Archives in Kew, west London on Thursday reveal that at the height of protests against the deployment of US nuclear cruise missiles in 1983-1985 the government of Margaret Thatcher was horrified by a prospect of US military shooting British peace activists. Throughout the 1980-s Britain was in a grip of mass peace protests against the deployment of American cruise missiles tipped with nuclear warheads. 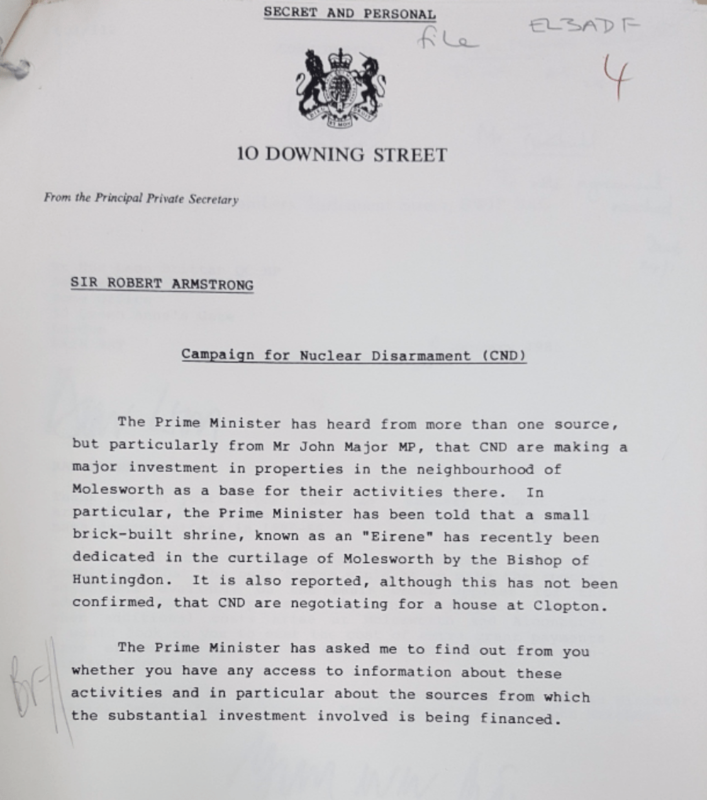 While publicly dismissing the Campaign for Nuclear Disarmament (CND) and other peace groups as “unrepresentative” of the British people, privately Thatcher and her Ministers were agonizing over the ways of “combatting” them, as the declassified files show. The Defense Secretary Michael Heseltine established a pro-government “peace” group to challenge CND’s “unilateralism”, while the Secret Service was charged with “exposing” the CND’s foreign backers. They failed to find any. Apparently, they hadn’t yet mastered the art of creating “dodgy dossiers” at the time. The CND was considered by the government to be a fairly responsible organization, but the famous peace women of Greenham Common (the US cruise missile site to the west of London) were branded “extremist”. 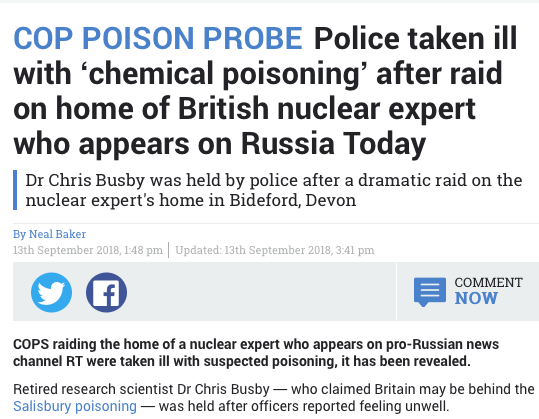 The repeated attempts by peace activists to breach security at bases housing nuclear weapons, like RAF Upper Heyford, ran the risk of a confrontation with armed US guards, and the Ministers were horrified by a prospect of the US military shooting British civilians on their home turf. 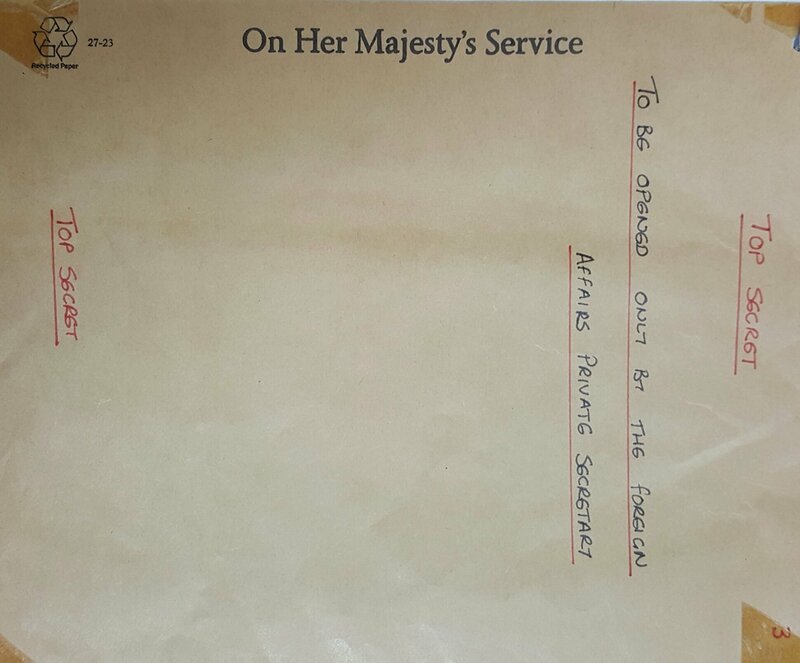 “The Home Secretary believes that an incident involving US firearms could be a major election problem”, a handwritten note of 17 May 1983 advised Thatcher who was in the middle of her reelection bid. Even warning the demonstrators of this mortal danger was deemed to be politically too sensitive. A flurry of minutes between the Home, Defense, Foreign Secretaries and the PM explored how to “tactfully” impress on the Americans that shooting a British civilian during the UK election campaign would be a very bad idea. It appears from these discussions that the British Government did not feel to be in a position to take up the issue directly with the US military commanders stationed in the UK! Not entirely sure that the Americans would heed the plea, the Ministers planned to insert a thousand or more UK personnel between the demonstrators and the US armed guards. On quite a few occasions there were two guards for every protester! The Ministers were also crunching numbers as to how many millions of pounds they would need to install electronic security systems around the bases. Security at UK military installations, even at those housing nuclear weapons, Ministers agreed, was inadequate. This advice was not something Margaret Thatcher and other Ministers apparently wanted to hear, just like Tony Blair after them didn’t like the legal warnings about the Iraq invasion. In both cases the voices of reason were eventually silenced. As the declassified files show, Nicholas Ridley was put under serious pressure, not least by the Defense Secretary Michael Heseltine, to reconsider his position. Heseltine also took the lead in the “presentational” aspect of “combatting” the peace activists. To counter the publicity of a series of mass protests across the UK planned by the CND for Easter 1983 he volunteered to make a speech at the Berlin Wall accusing the CND of working for the “forces of oppression” on the other side. Heseltine’s visit to West Berlin was welcomed by his West German counterpart Dr. Woerner but he warned that it could provoke demonstrations in Berlin itself! The CND’s Easter “peace offensive” will only “secure less airtime and have less impact if something more newsworthy in television terms occurs – e.g. (to be brutal) a North Sea blowout; an assassination attempt on the Pope, etc.”, Bernard Ingham wrote in confidence on 17 March 1983. “…It is also a day when there is not much sport,” Thatcher’s chief press secretary lamented. Eventually, the UK government succeeded in reclaiming parts of the land occupied by the peace camps under the pretext of road improvements, and the Soviet-American arms reductions deals made US cruise missiles in Europe redundant. In his notes of March 1983 Bernard Ingham wrote that “CND, if successful, contains not the seeds but the certainty of its annihilation”. CND, in its own way, did contribute to the success of arms talks in late 1980-s, but this did not lead to its annihilation. To the contrary, with the relapses of Cold War mentality in the British Establishment the peace movement appears to go through a revival. Drigg the quaint coastal village is also home to the UKs ‘Low Level Waste Repository’ (the word ‘Nuclear’ has been dropped from the official title) Although locals know this as the Nuclear Dump. Drigg is located near the Sellafield nuclear site on the shifting sands of the Cumbrian coast. Up until the late 1980s radioactive wastes including plutonium wastes were tumble tipped into trenches. Now the site has gone all hi tech and compacts radioactive waste into rusting shipping containers, any void in the container is filled with concrete. The site sits above West Cumbria Aquifer from which is drawn the borehole water supply for much of West Cumbria while Sellafield gets most of its water from Wastwater. The plan is to keep on dumping the high end of “low level” radioactive waste here despite the threat of inundation not just from the Irish Sea but also from the rivers and becks running through and alongside the site. The planning application to extend the wastes, stacking ever more shipping containers higher, has already been approved by our toothless regulators, the Environment Agency. Please write to the Development Control and Regulation Committee of Cumbria County Council who will be looking at this application on the 11th May ( if it isn’t postponed again) and ask them to refuse permission for the continued use of Drigg as a nuclear waste dump. Ask them to lobby government to hold a moratorium on “decommissioning” and dumping (breaking up and ‘disposing’ of old nuclear plants) which we now know means dispersal of radioactive wastes to Drigg rather than containment on original sites. Many more Driggs and radioactive landfills will be needed if new nuclear build goes ahead. The site owners the Nuclear Decommissioning Authority pass day to day running of the site to multinational corporations involved in “decommissioning’ and those corporations largely monitor themselves. SO the same people responsible for producing the waste are also responsible for dumping it. The Environment Agency has told us it sees no conflict of interest in this…but we do! Studsvik, a Swedish company who operate the only radioactive scrap metal plant in Europe here in Cumbria is one of the partners of the Drigg site. On 20th April Studsvik’s waste operations were taken over by EDF. Presumably this means that EDF now have a large hand in running the Drigg site? Will EDF be tempted to ship tonnes of radioactive metals from their 9 nuclear plants being decommissioned now in France, to the Studsvik plant in Workington now that they own it? And will the ever increasing tonnage of radioactive shot metal from that radioactive metal “recycling” end up in Drigg which they will also be operating?